Gene Luen Yang’s New Super-Man has always been as much about the Justice League of China (JLC) as the titular hero, so it makes a lot of sense to rebrand the series as New Super-Man And The Justice League Of China for its change in direction. After being part of the Ministry Of Self-Reliance for the first 19 issues of the series, Kenan “Super-Man” Kong and his friends in the JLC are breaking out on their own as an independent superhero team, but their old boss, who happens to be Kenan’s mom, isn’t going to let them go so easily. The new title implies a broader scope for the series as well as more Eastern analogs of Justice League heroes, and the JLC will be facing off against the Ministry’s new Lantern Corps as well as the Aqua-Man of North Korea. 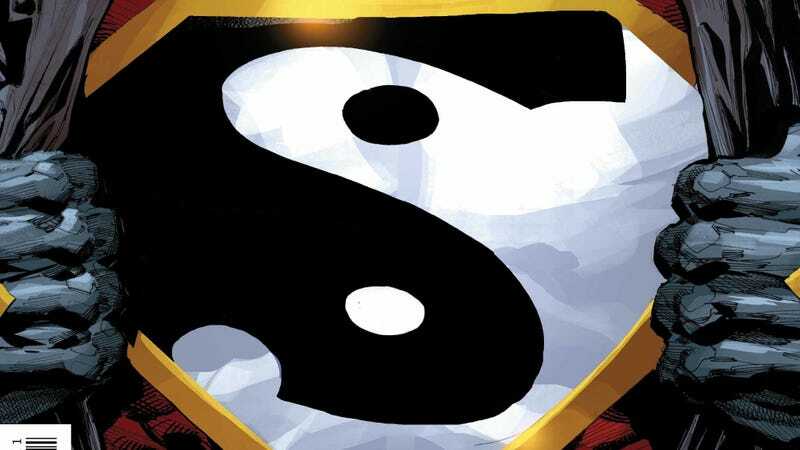 The coolest change for this series is Kenan’s new yin and yang S-shield, brilliantly blending superhero and Taoist iconography in a single image that embodies the book’s East-meets-West philosophy. This exclusive preview of New Super-Man & The JLC #20 catches readers up on what these characters have been doing since breaking ties with the ministry. Kenan is in zen monk mode after learning that he embodies the eternal balance of yin and yang, and it’s remarkable to see just how far Kenan has come from his early days as an arrogant bully. Baixi and Deilan (a.k.a Bat-Man and Wonder-Woman) are now firmly a couple, but their romantic snowboarding getaway is cut short by a monster that feeds on desire. Artist Brent Peeples, inker Matt Santorelli, and colorist Hi-Fi deliver crisp, bright visuals that reinforce the lighter tone of Yang’s script, and while there are moments when the story gets dark, it’s never dreary and always balanced with humor. The panel of Kenan meditating on the first page features evocative visual elements that accentuate the ideas being presented in the narration, and the order and chaos Kenan embodies are represented on the page in the frosted-over window in the foreground: order in the square grid, chaos in the snow gathering around the metal bars. The philosophy of this series is as riveting as the superhero fantasy, and it will be interesting to see how the theoretical elements of the story change as the creative team expands this concept and brings in new characters.